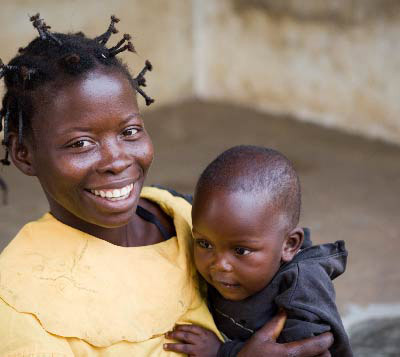 With a targeted focus on MDGs 4 and 5, Countdown promotes accountability from governments and development partners by compiling, publishing, and reporting on critical data that indicate country progress — or lack of progress — in providing equitable coverage of effective health interventions and in improving maternal, newborn, and child health outcomes. Countdown reports on information that is reliable, comparable across countries and time, nationally representative, clear and comprehensible by policy makers and program managers, and available regularly in most Countdown priority countries. Countdown’s reports and country profiles are a tool that can be used by all stakeholders — internationally and at the country level — to advocate for action on maternal, newborn, and child health and to hold governments accountable for fulfilling their commitments. In May 2011, the Commission issued its report, Keeping promises, measuring results, which laid out a framework for accountability built on three essential and interconnected processes — monitor, review, and act — and called for the establishment of an independent Expert Review Group to assess and report on country progress in terms of results and resources. The Commission identified 11 core indicators that, taken together, enable stakeholders to track progress in improving coverage of interventions needed to ensure the health of women and children across the continuum of care. These indicators include eight measures of intervention coverage and three measures of impact. For all 11 indicators, the Commission urged that the data be disaggregated by gender and other equity considerations. In addition, the Commission identified two indicators for tracking financial flows related to women’s and children’s health. By focusing on a relatively small number of core indicators to be tracked across all high-burden and low-income countries, the Commission sought to reduce the reporting burden on national governments and health systems, enhance countries’ capacity to monitor and evaluate progress, and ensure national leadership and ownership of results. Countdown to 2030 has agreed to take responsibility for major parts of the follow-up on this accountability agenda, including annual reporting and analysis of country-specific information on the Commission’s key indicators of coverage and its determinants, and on the equity of coverage by gender, wealth quintile, geographic location (e.g. urban vs. rural), and other considerations. In order to take on this accountability role, Countdown’s list of priority countries was expanded to 75 countries (including the recently-established nation of South Sudan), including the 49 low-income countries that are covered by the Global Strategy. Beginning in 2012, Countdown produces annual reporting and analysis of country-specific information on the Commission’s key indicators for each of these 75 countries; all 75 are also included in the full Countdown Reports and country profiles published periodically.